We are expanding our location to include 104 rolling acres adjacent to our current property! 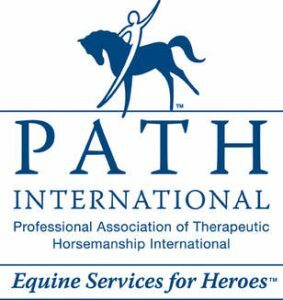 This will allow us to offer year round services to more people, expand our programs, and decrease expenses in upkeep and feed cost for our horses. Our current home was constructed in 1983 and was designed as a temporary home for Sunrise. We have completely outgrown the facility, and wish to provide even more opportunities for our community! A fully accessible facility- including indoor bathrooms! Other outdoor recreational therapy activities like gardening, hiking, or fishing! Phase One of our capital campaign began in 2012, when Sunrise, Inc. acquired 104 acres adjacent to our current facility. To date, over $250,000 has been raised towards paying for the land that is our new home! We are so excited to move on to Phase Two of the capital campaign! We are still in need of donors to construct a brand new, state-of-the-art recreational therapy center! 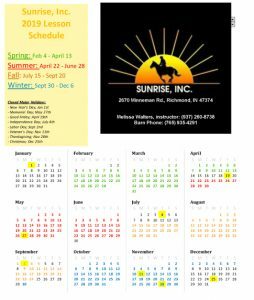 Are you ready to support therapeutic riding and recreational therapy at a brand new Sunrise? All donations will be recognized on our Wall of Honor in the new center! 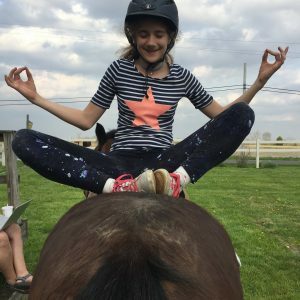 If you are interested in making a large gift and would like naming rights to our classroom, tack room, riding arenas, visitor lounge, riding trails, or another part of our center, give us a call at 765-935-4291.